In a statement, it said that both grades of petrol will increase by 7 cents per litre (c/l). The price of diesel 0.05% sulphur will increase 1c/l and 0.005% sulphur will increase 2c/l. However there will be decreases for illuminating paraffin (wholesale) of 5 c/l, illuminating paraffin (SMNRP) of 7c/l and the maximum liquid petroleum gas of 11c/kg. "The current fuel price adjustments are due mainly to the international factors, namely, the increase in crude oil prices," the department said. Brent Crude increased from $58 (about R775) to $60 (about R800). The Organisation of Petroleum Exporting Countries and Russia are leading efforts to cut supply, the department said. "The international prices of all the petroleum products increased on average during the period under review," the statement read. 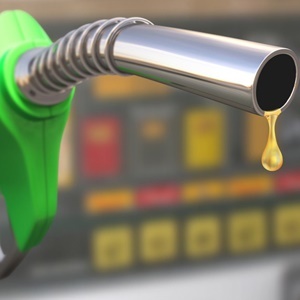 The Automobile Association earlier this week projected that petrol prices would increase by around 8c/l and diesel as expected to drop by 3c/l and illuminating paraffin was expected to drop by 9c/l. Similarly the AA attributed the increases to higher international oil prices which "reached a slightly higher plateau after climbing in the first half of January". "If international oil prices continue their current stable trend, South African fuel users may see fewer of the wild swings in fuel prices which characterised 2018," the AA said. The fuel price adjustments kick in from February 6. The fuel price schedule for the different zones are expected to be released on Tuesday, February 5, the department said.